Escape to paradise with New York Times & USA Today Bestselling author, Sandra Edwards, in her latest modern-day, romantic fairytale, Second Chance Bride! Donnie Taylor, owner of the posh Sapphire Bay Resort, has no interest in marriage—until he meets an unforgettable guest at the hotel. What starts out as a kindhearted gesture brings Donnie something he never expects—a chance at love! 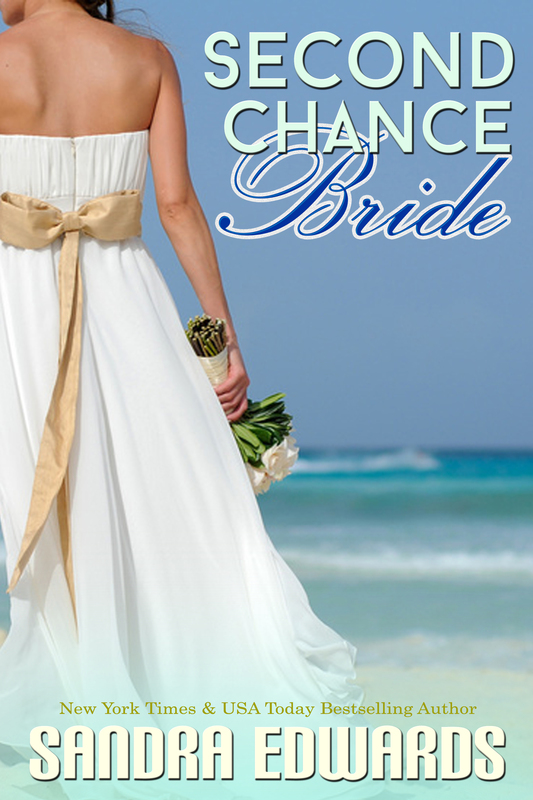 *Second Chance Bride is a short novella of approximately 11,000 words. About 46 pages. This entry was posted on Thursday, July 24th, 2014 at 11:37 am	and tagged with .99 cent books, Amazon, Amazon Kindle, Amazon.com, Book, Books, Bride, contemporary romance, E-Books, Escape to paradise, Hawaii, release date, Romance, Sandra Edwards, Sapphire Bay Resort, Second Chance Bride and posted in Apple, Bestsellers, Books, iBooks, New Release, Romance, Uncategorized. You can follow any responses to this entry through the RSS 2.0 feed.